2. Increase transparency and consistency in processing nonimmigrant (temporary) and immigrant (permanent) work visa petitions filed by the U.S. The rule took effect on Jan. 17, 2017, only three days after President Donald Trump’s inauguration. Given the timing of its publication and effective dates during the waning hours of President Barack Obama’s administration, some believe that the real aim of the rule is to make immigration reform more difficult for Trump. One person who apparently believes this is Rep. Darrell Issa, R-Calif., who recently introduced the Midnight Rules Relief Act, H.R. 21. This act would allow Congress to disapprove regulations that federal agencies have submitted for congressional review within the last 60 legislative days of a session of Congress during the final year of a president's term. If passed, this act would allow Congress to abolish all regulations that complied with the public notice and comment requirements of the Administrative Procedures Act including USCIS’ rule for high-skilled workers. Is this new rule a political ploy by a lame-duck president, or is it what USCIS claimed — an amendment to outdated regulations? To answer this question, we need to see what the rule fixes. Before USCIS enacted the new rule, outdated U.S. immigration regulations left legal foreign workers in many predicaments. For example, if employers terminated lawful workers with E, H-1B, L-1 or TN visa status, they had no grace period to look for alternative employment and file change-of-employer petitions with USCIS or to settle affairs before departing the U.S. Instead, they lost their lawful status immediately upon termination, which often occurs without prior warning. Legal foreign workers, many of whom also lawfully studied in the U.S. paying higher nonresident tuitions, became illegal just because they lost their jobs. The new rule amended immigration regulations by giving these workers a grace period of up to 60 consecutive days to either find a new job or make arrangements to leave the U.S. Under prior regulations foreign nationals working legally in the U.S. with employment authorization documents (EADs) or “work permits” often lost their employment authorization because USCIS frequently does not process renewals before the original EADs expire. In other words, foreign nationals who timely applied to extend their EADs lost the ability to continue working legally just because the federal government fails to do its job on time. The new rule amended immigration regulations by automatically extending the validity of existing EADs for up to 180 days beyond expiration if the foreign workers timely file their EAD renewals in the same category as the previously issued EAD. Automatically extending EADs for those who timely file extensions in the same work permit category not only benefits foreign workers, it also benefits the U.S. economy. Companies who previously lost skilled foreign workers who were critical to work projects had to either suspend work on the projects until USCIS renewed the EADs or offshore the projects to foreign countries where the foreign workers could legally work. The new rule now eliminates the need for U.S. companies to suspend or offshore work projects wherein persons with EADs are essential. In order to obtain green cards, skilled foreign workers, again many of whom lawfully studied in the U.S. and paid nonresident tuitions, wait several years, and their employers pay tens of thousands of dollars for temporary work visas before completing two of three steps in the employment-based green card process. During the first step of the process U.S. employers must obtain certification from the U.S. Department of Labor that there are no qualified or available U.S. workers for the skilled foreign workers’ positions. At the second step U.S. employers must prove to USCIS that they have sufficient financial resources to pay their foreign workers’ salaries or wages, and that the foreign workers possess the education, experience, or special skills that U.S. job applicants lack. USCIS will approve the employers’ I-140 immigrant or “sponsorship” petition if they meet these evidentiary burdens. However, the skilled foreign workers cannot complete the third and final step of the process until green card numbers become available in their employment-based preference categories. Under prior regulations, if U.S. employers withdrew their approved I-140 petition or went out of business, the skilled foreign workers waiting for their green card numbers to become available had to start the entire process over from square one. The new rule changes the regulations by allowing skilled foreign workers who are the beneficiaries of I-140 petitions that have been approved for at least 180 days to remain valid even if the sponsoring employer withdraws the petition or goes out of business. Again, the new rule not only benefits the skilled foreign workers allowing them to continue processing their green card applications after waiting several years and spending tens of thousands of dollars, but it also benefits the U.S. economy. How? It keeps highly skilled and educated individuals who want to obtain green cards, contribute to the U.S. economy and society, and eventually become U.S. citizens lawfully in the United States. Again, after educating intelligent and law-abiding foreign nationals who want to become Americans, it makes no sense to force them to leave the U.S. after they have literally “paid the price” and “waited their time” to join the American family. Therefore, both Trump’s administration and Congress would be wise to leave in place USCIS’ new rule, which was not only enacted in accordance with the APA but also makes America great by allowing skilled foreign workers to maintain their legal status joining the American family with their skills and contributions. 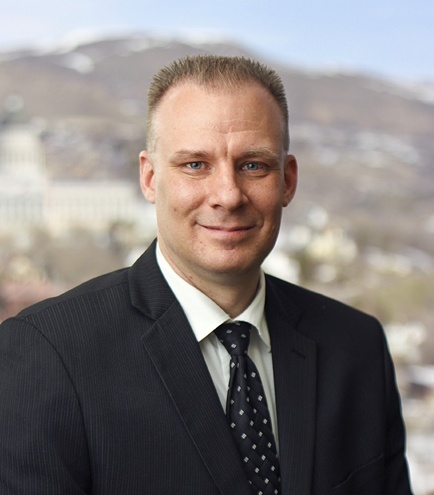 Jacob T. Muklewicz is chairman of Kirton McConkie PC’s employment and immigration section in Salt Lake City, Utah. He counsels and advises large multinational corporations, local businesses, individual investors and professionals in areas involving employment-based immigration law.